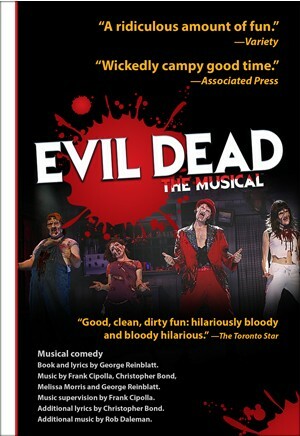 This hilarious show takes all the elements of the cult classic films The Evil Dead, Evil Dead 2 and Army of Darkness and combines them into one of the craziest theatrical experiences of all time. Five college students go to an abandoned cabin in the woods and accidentally unleash an evil force that turns them all into demons. It's all up to Ash (a housewares employee turned demon-killing hero) and his trusty chainsaw to save the day. Blood flies. Limbs are dismembered. Demons tell bad jokes ... and all to music. The songs in the show are completely off the wall. Titles like "All the Men in My Life Keep Getting Killed by Candarian Demons" and "What the F**k Was That?" will have audiences rolling in their seats and screaming for more and more blood. This show has fun with the horror genre and, in doing so, appeals to a wide audience. 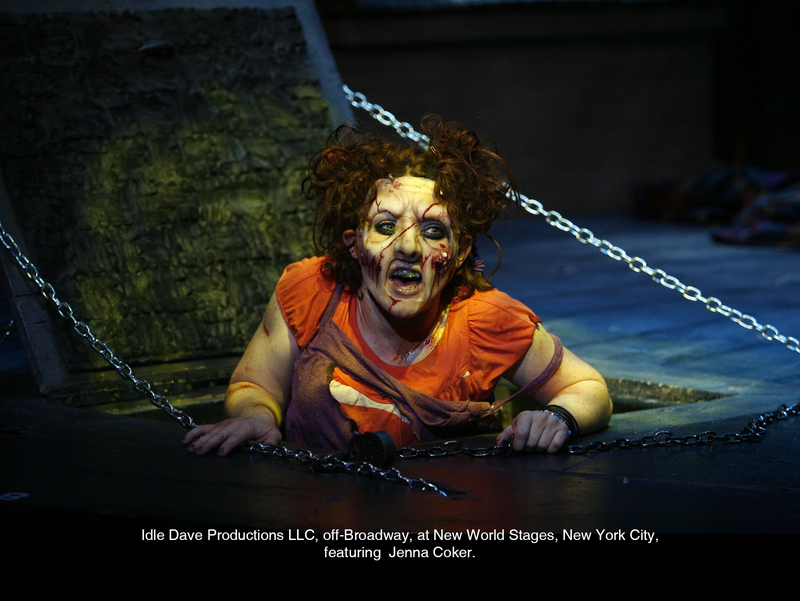 It's the only show with a "Splatter Zone"a section of the audience that gets covered in fake blood. 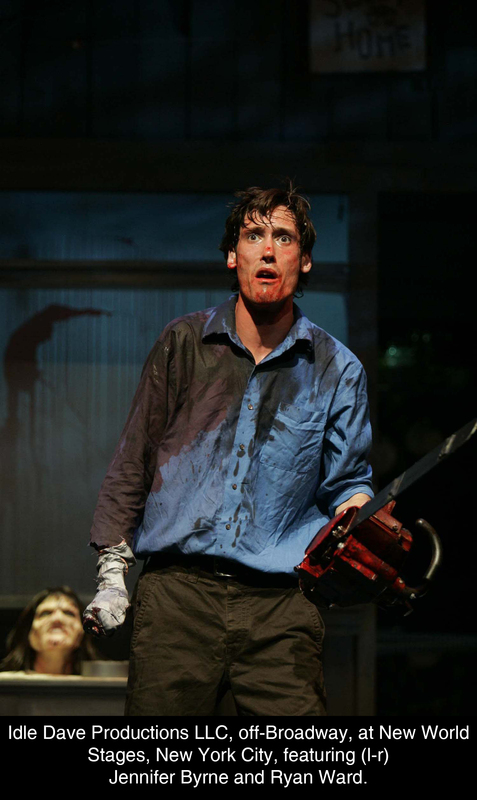 And with this combination of blood, jokes, cheesy effects and awesome musical numbers, Evil Dead The Musical is unlike any show you've ever seen. 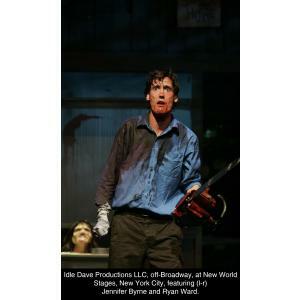 While the Evil Dead films are the definition of cult movies, as a stage show, Evil Dead: The Musical has become a cult sensation of its own. 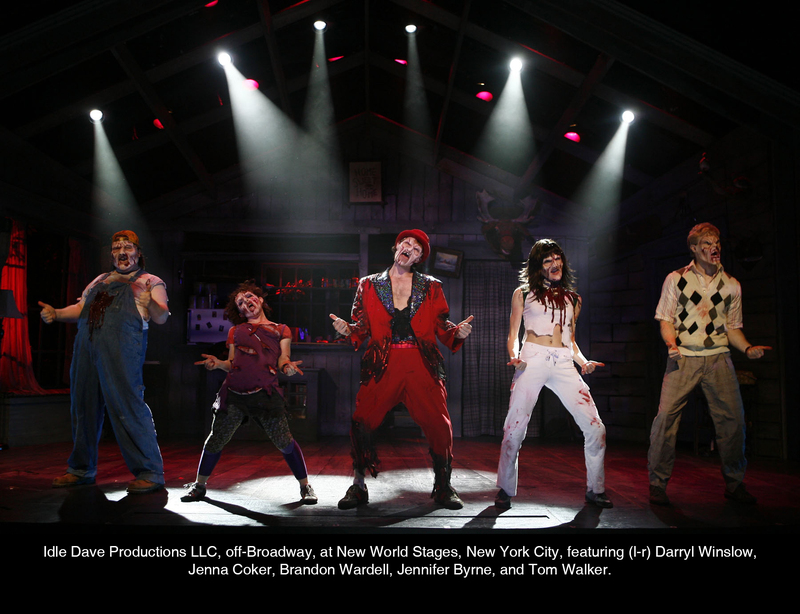 The show played off-Broadway in New York, has broken records in Toronto, has won awards in Korea and has had more than 200 productions mounted across the globe. 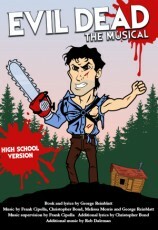 And because this show appeals to both the fans of the films and the new audience who loves it purely as a stage show, theatres who put on Evil Dead The Musical are amazed by the audience response. "This musical is a BLAST to perform and our audiences thoroughly enjoyed the offering, so much that we had to add two additional performances to accommodate audience demand. We honestly could have done an extra weekend of shows, it was so well received. The technical demands were a blast for our team to tackle and the campy nature of the script gave us a lot of freedom to play with the special effects. We've all agreed that we'll have to bring this show back again soon." Review by Kensington Eck, Think PINK Productions, Evansville, Ind. "Work with your blood early and often so that your actors are not only used to the feel of performing wet, but also get a sense of how to safely perform on a wet floor. Our company focused on safety from the beginning because the Necronomicon is placed right after Annie gets blasted with Jake's blood from the cellar, leaving no time for clean up. Having the cast practice the dance on a wet floor was beneficial to everyone, and having a contingency plan for a floor that became too slick or had standing water on it was a must." Tip by Kensington Eck, Think PINK Productions, Evansville, Ind.